Why do we have Powwows? 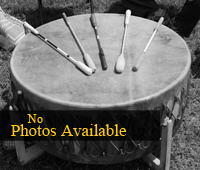 Heritage Day at the Nanticoke Indian Museum was held on May 14, 2016. This is an annual event celebrating our Native American Heritage. We celebrate by inviting the public to visit our Museum, which is open for free that day, and to see our dancers perform their specialty dances in their regalia, and to enjoy some Native American food, along with face painting, games and a special speaker.